Fall is here and with it comes nice cool temps and FOOTBALL! Yes! Where I’m from, we take football season seriously. On any given weekend, I can find my social media timeline filled with commentary about games. It doesn’t matter if it is a professional football or college football game…we are here for it all! Another thing that we take seriously in the south is our food. What is a good game without good food? Whether you are tailgating at the stadium (my personal favorite) or hosting a party at home, the food has to be awesome! Now, I won’t get into my favorite team because I don’t want to start any friction. However, if you know me, you can kind of guess. Parties at home (homegating) tend to get a little interesting when you have friends rooting for opposing teams. The smack talking is absolutely hilarious. Maybe, that’s just my batch of friends? Nah! It’s normal! LOL! When I have friends over to watch the game, I like to do a combination of cooking and quick and easy items that I can pick up from the store. You know my second home is Walmart and let’s be honest; they have everything you need for a perfect par-tay! One thing we love around here is WINGS! They are easy to jazz up and great finger foods for game day. Now, I make awesome fried wings but sometimes, I just don’t have time or feel like all of that frying. Thank goodness Walmart has me covered! They have an awesome wing special. You get 20 wings for only $10. Plus, you can mix and match the flavors. 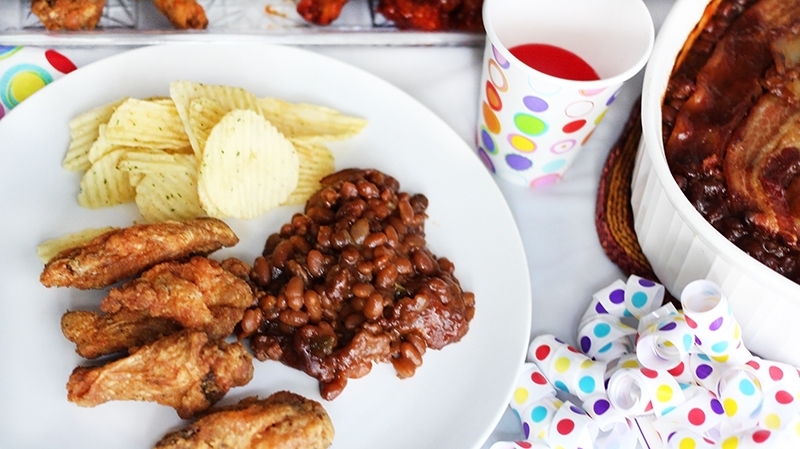 For this get-together, I opted for their Ranch Wings (my personal faves) and their Hot Wings. 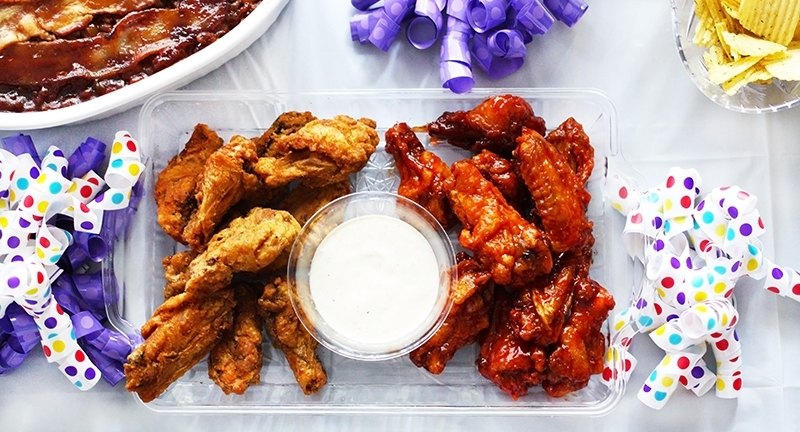 Seriously, where else can you find 20 wings for $10…let alone different flavors? I can’t think of anywhere else. What goes great with wings? Baked Beans! Now, I don’t do your normal beans where I just dump the can and add sugar. Nope! I like to jazz mine up a little. Before I moved to Florida, I used to add bacon, but a friend introduced me to Southern-style baked beans. OMG! 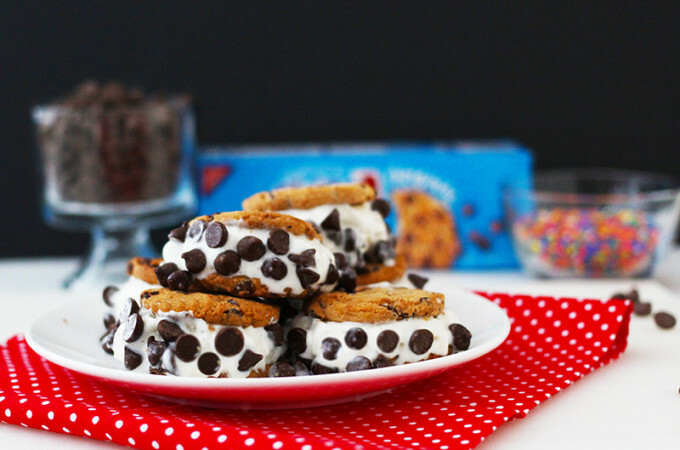 I feel in love with them and I was determined to figure out how to make my own. I used to bug him to make them for me when I first tried them, but I quickly created my own version. 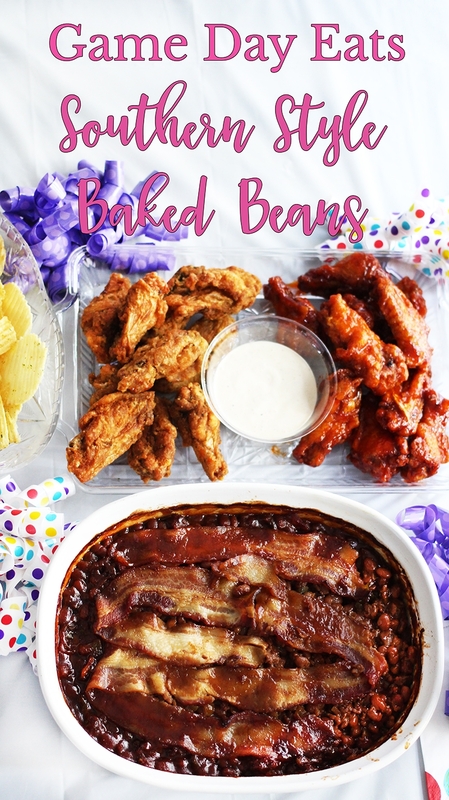 Let me share with you how I make my baked beans! Don’t blame me when you become just as addicted to them as I am. It doesn’t take long to make them and they actually taste better if you make them a day ahead. Just put them in the oven to reheat and you are good to go. My baked beans tend to be one of the first things to go when I make them, as long as I don’t make mac & cheese. 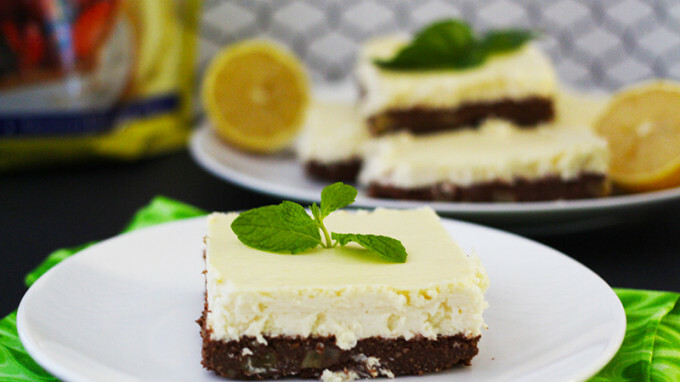 You only need a few ingredients to make this recipe. This is all you need! I like to start with cooking my meat. I brown the ground beef while the bacon is cooking. Just in case you missed it in the video, I sprinkle a little brown sugar on the bacon for a candied bacon effect. Just be sure to pay close attention because the sugar makes it easy to overcook the bacon. Don’t ask me how I know. While the beef and bacon is cooking, I like to cut my veggies. Once I’m done cutting the veggies, I mix them in a large bowl with my beans and brown sugar. After my meat is finished and cooled, I add them to the bowl and mix everything together. Be careful! I had some runaway ground beef. LOL! After everything is will combined, I add it to my baking dish. I’m a tad OCD, so I make sure everything is leveled and smooth. Don’t judge me! 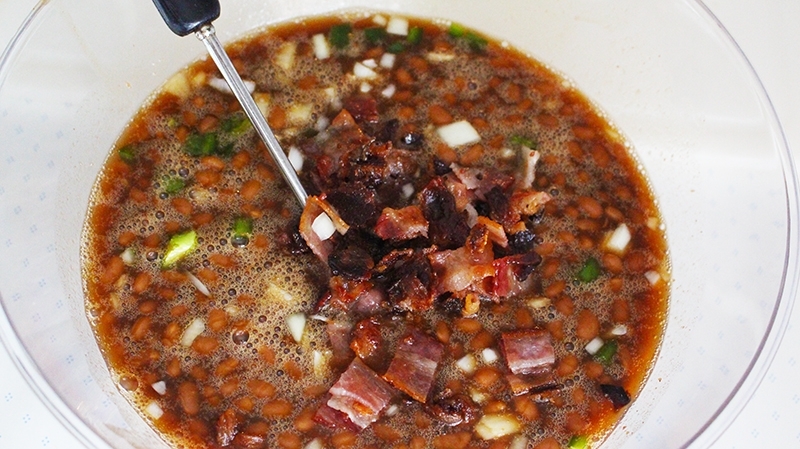 Next, I add slices of bacon to cover the beans. 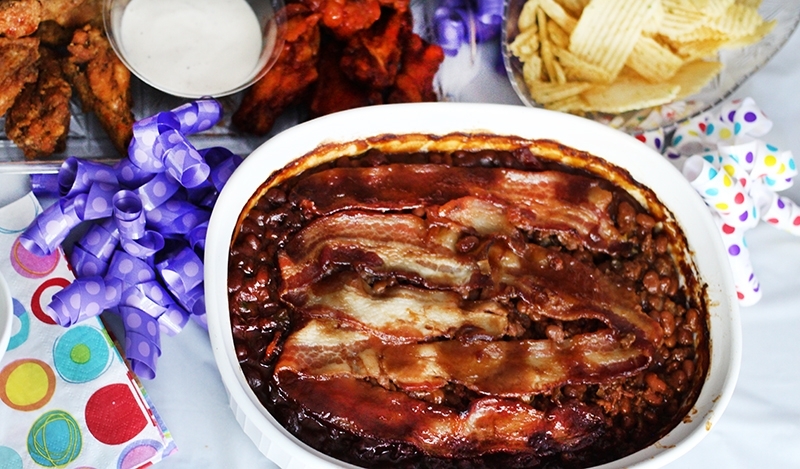 I mean…how can you go wrong with a bacon topping? After I’m done, I just pop the dish in the oven and that’s it! See! I told you super simple. Now if you will excuse me, I have to baked beans and wings to eat. 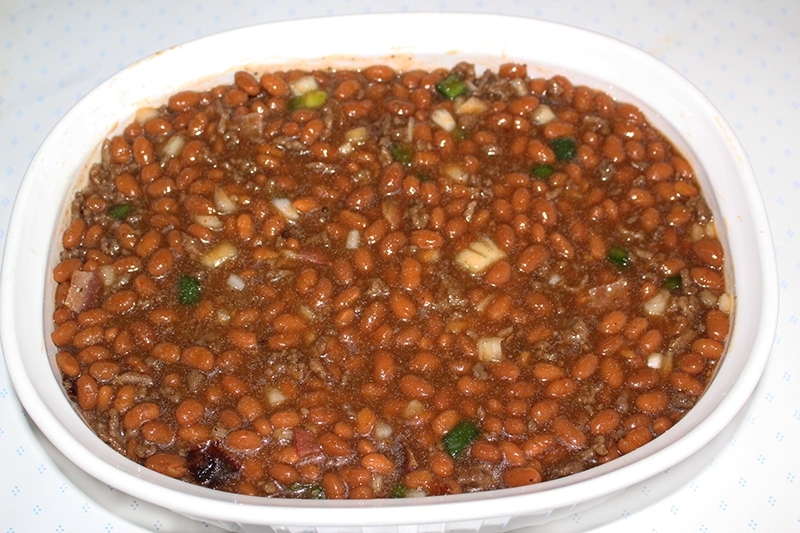 A sweet and savory baked beans dish with ground beef and bacon. 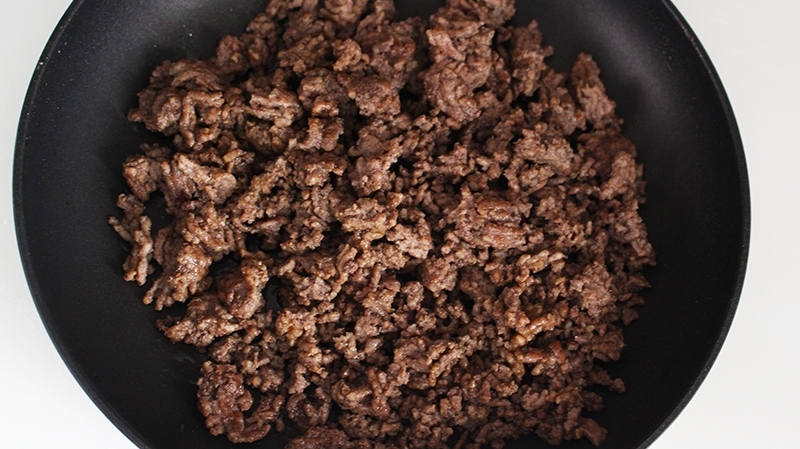 Brown ground beef. 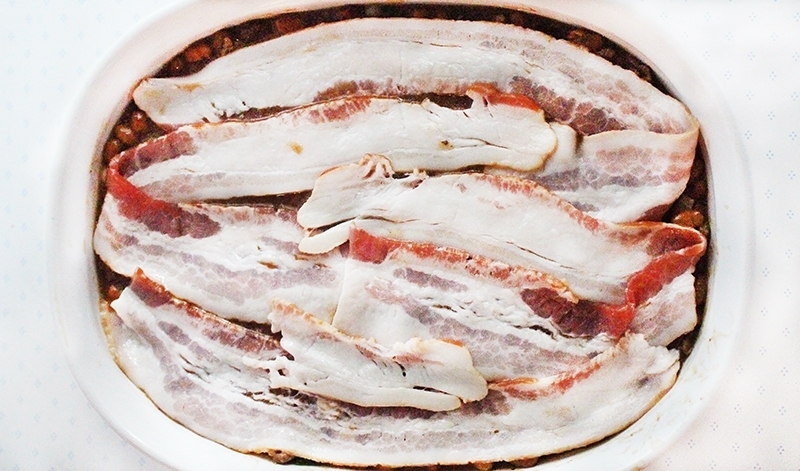 Remove enough bacon to cover the top of your baking dish, set aside. 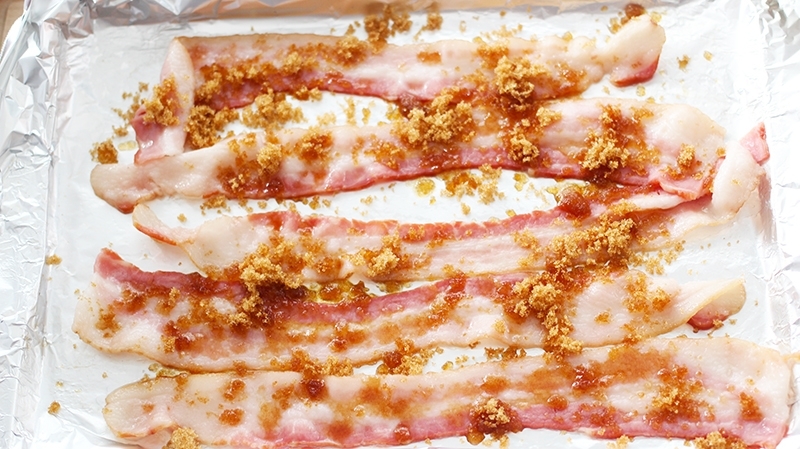 Place remaining bacon on a baking pan and sprinkle with brown sugar. Cook bacon on 400 degrees until done. While the meat is cooking, chop onion and green pepper. 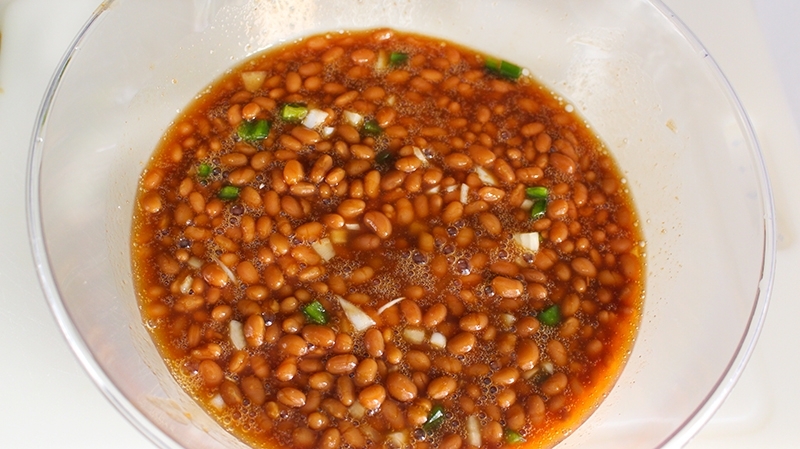 In a large bowl, empty baked beans and add onions and green pepper. Stir until well combined. 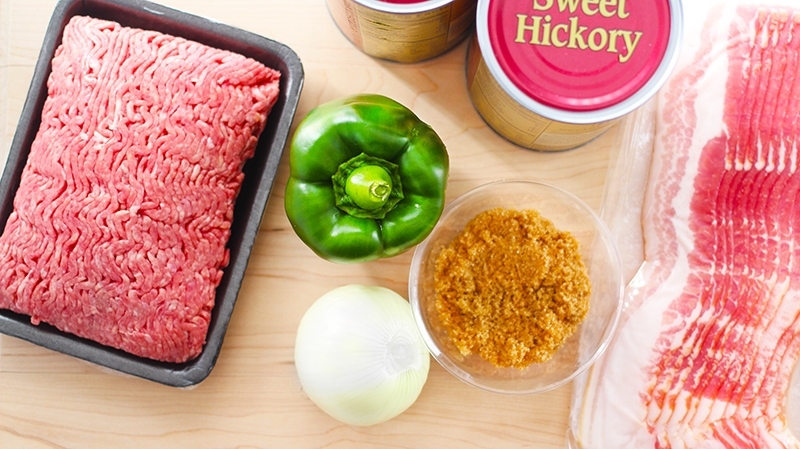 When the ground beef is done, drain and add to the bowl with beans. Chop bacon and add to bowl. Stir until well combined. Pour bean mixture into your baking dish. Smooth beans to create a flat surface and cover with uncooked bacon. Bake on 375 degrees for 45 mins. 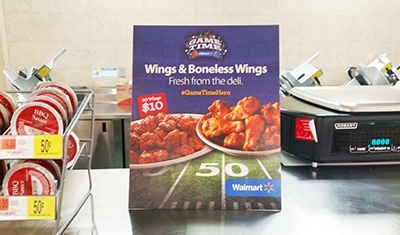 The next time you head to Walmart and you need something tasty, check out the wing special in the Deli Department. Look so yum!! Love football sundays! Yummy! Those chicken wings look delectable as well! This sounds delicious! I need to try a turkey version! My son is always testing out different backed bean recipes and I think he’d like this one a lot. I’ll have to send it over to him. 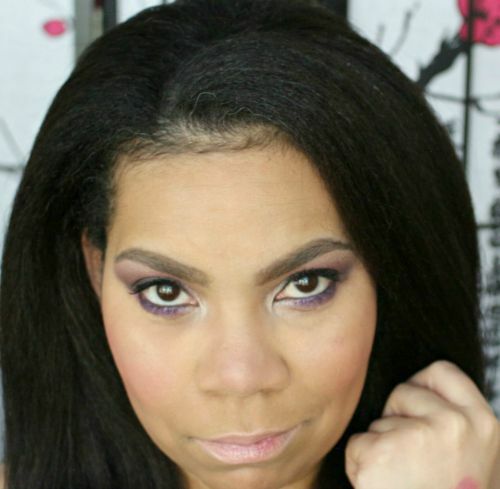 MarciaF recently posted…#ITsAtSephora and IT’s a giveaway at Beauty Info Zone!